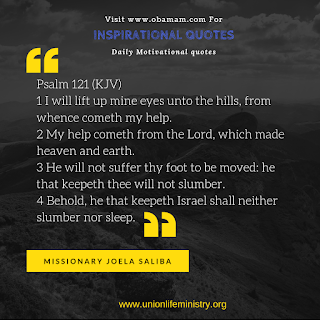 In this inspiration,motivation morning prayer, Missionary Joela Saliba reads Psalm 121, a Psalm that speaks of divine help. Afterwards, Missionary Joela Saliba prays a powerful prayer for you. Whatever the enemy is planning against you will not work. Look to the Lord. He is watching you at all times, and He is on your side. God is going to keep you from all evil. It does not matter what comes against you; help is on the way. Inspirational Quotes ,Motivational Quotes ,Psalm121,MorningPrayer, Prayer. Amen, glad to Come across this prayers, do you publish every day?